Dow Falls Over 300, US-China Trade Talks in "Final Stages"
CNBC reported that the U.S. and China could be in the final stages of negotiations after the trade truce between the two economic superpowers expired on March 1. 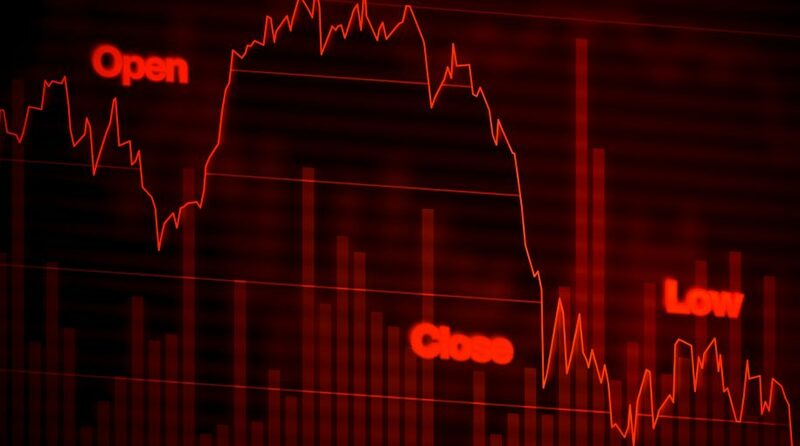 Despite this, the Dow Jones Industrial Average fell over 300 points, while the S&P 500 dropped 1.18 percent and the Nasdaq Composite lost 1.07 percent. Prior to any deal being official, Chinese President Xi Jingping and China’s policymaking committee Politiburo would have to sign off on the particulars. U.S. President Donald Trump is said to be pushing to finalize a deal despite U.S. Trade Representative Robert Lighthizer lobbying for more concessions. Last week, National Economic Council Director Larry Kudlow said that ongoing negotiations with China are making “fantastic” progress. During the interview, Kudlow said China was willing to make key changes regarding the theft of intellectual property, which has been a major point of contention during the trade talks. Markets for much of 2018 have been sensitive to the ongoing trade wars between the U.S. and China. International and emerging markets, in particular, have also been hit by trade war news.